Substantial rugs, extra thick, soft textured tufted pile for comfort and longevity. Recommended for classrooms, reading areas and play areas. Lightweight, tightly woven and robust soft textured loop nylon. Recommended for receptions. Corridors and classrooms. Lighter in weight, tightly woven and robust soft textured twisted outdoor nylon loop with shorter pile and outdoor rhombus backing. Printed on 100% polyester fibre with a rubber anti-slip backing. A thinner carpet surface than durable loop. 100% Nylon twist cut pile to prevent matting with triple felt backing and double stitching for improved durability. Recommended for receptions, corridors and classrooms. 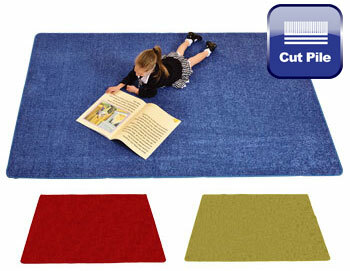  This super soft, single colour carpet is great for libraries and reading areas.  With neutral tones, this carpet is ideal for promoting quiet time.  Available in two colours: navy or grey. 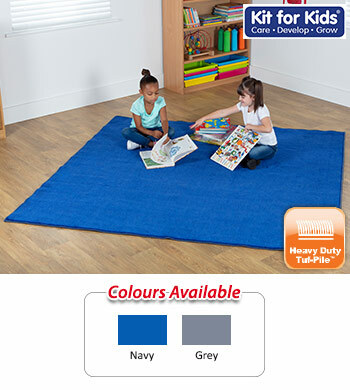  Depth: Heavy Duty Tuf-Pile - Substantial carpet, soft textured tufted pile for comfort and long lasting.  Carpet can be spot cleaned with a damp cloth. Superb quality solid colour rugs. With 3 bold colours to choose from these rugs are excellent value. These premium carpets have a plush comfortable cut pile with the same triple-ply felt backing as our printed rugs. 100% hard wearing nylon. This rug complies with EN71 saftey standards and comes with a lifetime limited wear warranty with a 5 year soil and stain protection. 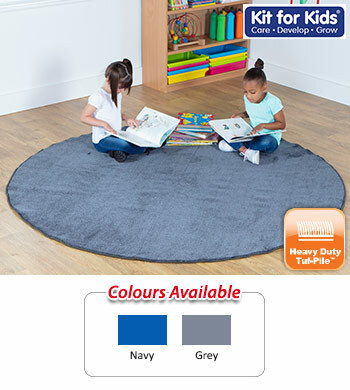 High quality learning rugs have double stitched edging, triple felt backing and feature lifetime anti-static fabric. 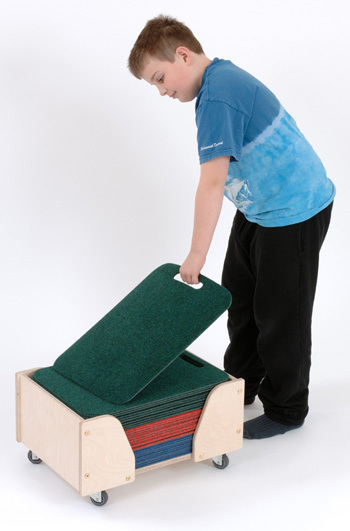  The Bretton Mat Trolley contains 30 seating mats made in the UK from Permafresh Carpets.  4 heavy duty castors allow the trolley to be used outside as well as indoors. 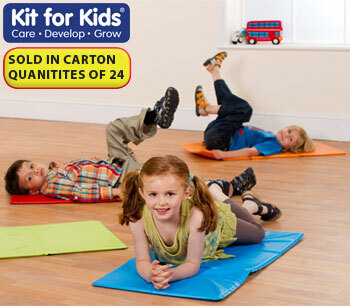  The mats are light enough for small children to carry their own mat.  Ideal for outside seating.  Constructed in the UK from exterior grade 15mm birch plywood. 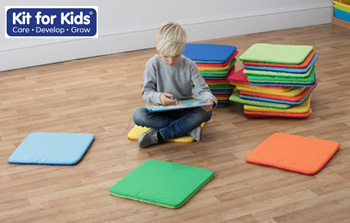  Each seating mat measures 34 x 47cm and has its own integral carry handle.  Permafresh Carpet has an active agent which prevents the growth of destructive bacteria, moulds, mildew and fungi. This means that the carpet will provide a barrier against moisture, but as bacteria are not allowed to grow, when the carpet dries, it leaves no smell.  The mats have a rubber non-slip backing so that they will not slide about on smooth floors. 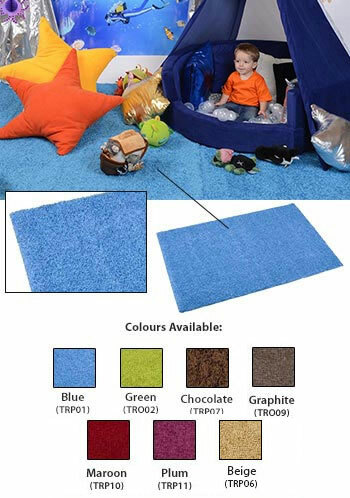  Shaggy loop pile washable rugs with a latex anti-slip backing, making them an ideal base for children to lie and play. 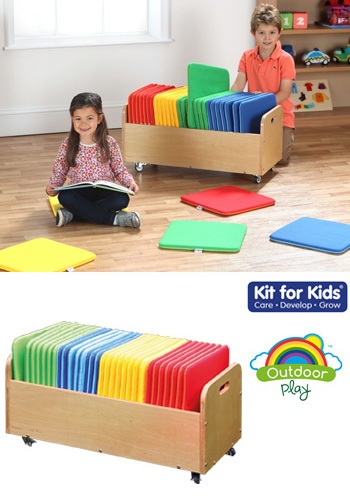  Create open ended play areas or use in a quiet area.  Fully washable at 40°C.  Size 1500 x 1000mm.  Please allow approx. 3 - 4 weeks for delivery.  Evidence shows that children learn better in an environment where colours are light and natural and these natural Coco rugs fit the bill perfectly.  Suitable for all learning spaces.  Includes a natural latex anti-slip backing to provide further grip. 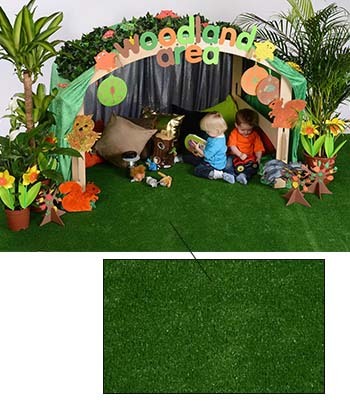  Our indoor/outdoor grass matting provides a textured area with a grassy look.  Ideal for creating an outdoor area inside.  The mat is flexible and can be easily rolled away between uses. 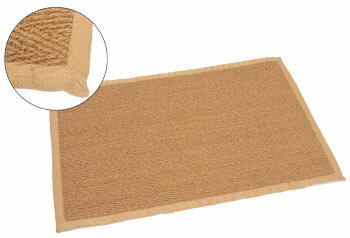  The matting has a natural latex anti-slip backing. 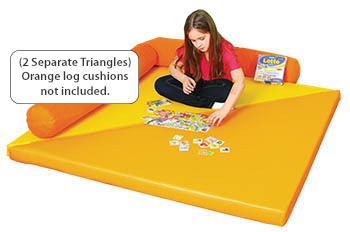  This extra thick play triangle mat can be used to pad corner areas where required (2 separate triangles) or the mat can be joined together to form one large square padded play mat  great for rest or exercise.  Made from pvc and foam.  Shock absorbent folding mat.  Welded edges for indoor/outdoor use.  Sealed edges with no stitching.  Foam and vinyls meet all relevant safety standards. 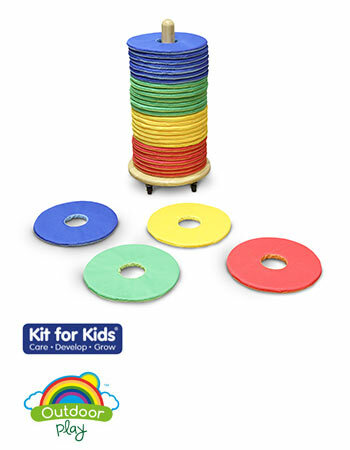  Suitable for 2 to 6 years.  Sold in carton quantities of 24.  Dimensions per mat: (HxWxD) 10 x 900 x 450mm.